October 12th, Extinct Entities presents performances by Alexandria Eregbu, Tomeka Reid, and Baraka de Soleil. RSVP on Facebook. Closing Reception: October 19th, 5-8pm – Mess Hall unfurls their archives and Public is invited to contribute material artifacts from Chicago socially and politically engaged art history to NTS ephemera archives. RSVP on Facebook. October 20th Liliana Angulo Cortes and Sydney Stoudmire organizes a hair-braiding summit. RSVP on Facebook. 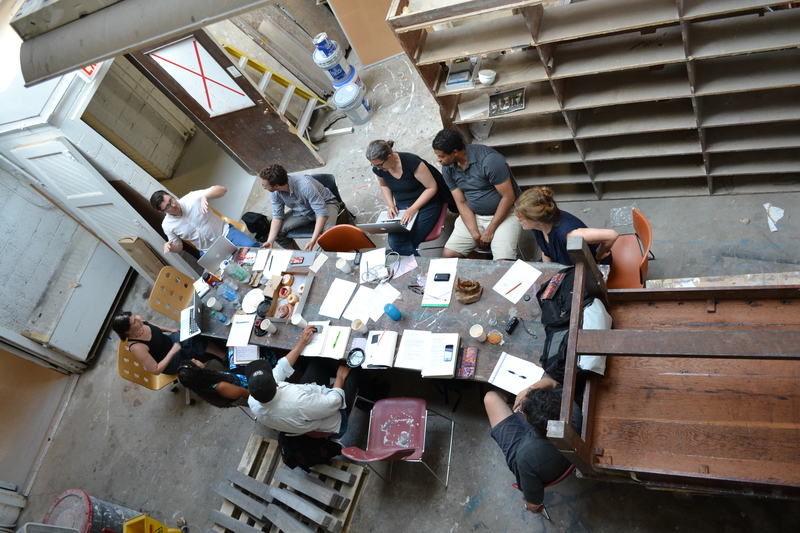 Artist Commissions/Exhibition: Never The Same (Daniel Tucker and Rebecca Zorach) commissioned five artists and scholars to produce work that activates archival materials related to Chicago’s rich history of politically- and socially-engaged art. Invited Artists/Groups: Liliana Angulo Cortés with Sydney Stoudmire, Faheem Majeed, Jayne Hileman, Dan S. Wang, and Extinct Entities presenting Brandon Alvendia, Alexandria Eregbu, Tomeka Reid, Baraka de Soleil.